Get a real taste of Languedoc life. 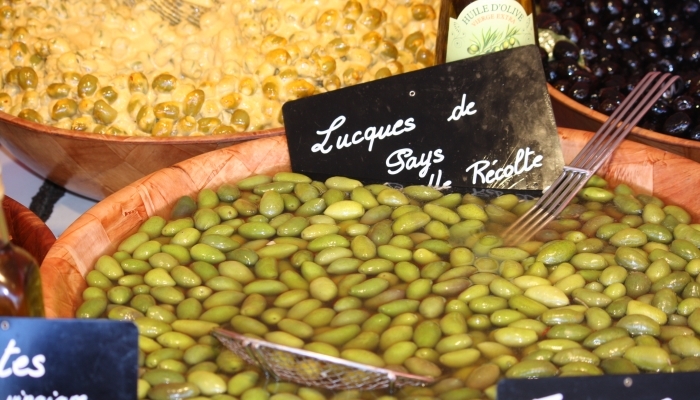 Enjoy the culinary traditions and get tips from the stallholders, in the musical accents of the South of France. Our producers will be happy to share their expertise and advice. 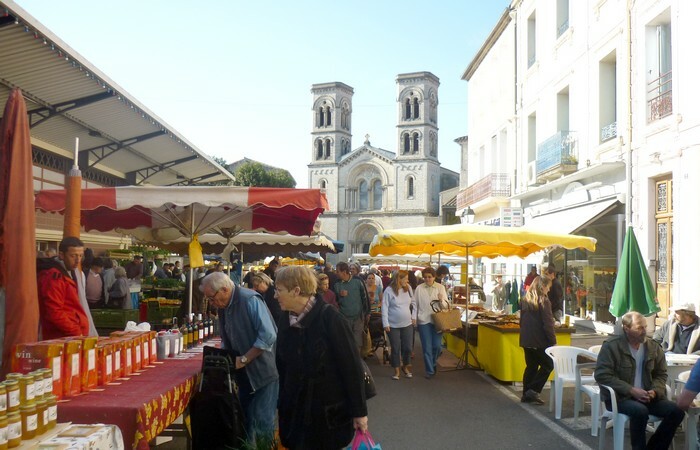 Here in Languedoc, ‘going to the market’ is part of our art of living. Every market has its own unique atmosphere that reflects its long gastronomic history; the markets reflect the character of our land, the passion of our producers. So pick up your basket, and choose which market to visit to buy the gourmet treats that will make your day special. Here's our selection of favourites. "Just look at my beautiful bream!" On Friday mornings, everybody heads for the foot of the Cévennes, coming from the Hérault valley, the gorges of the River Vis, the villages where the chestnuts grow, and even further afield. It's market day! Ganges has returned to its traditional role of trading post for the Mediterranean and the Cévennes. Cheeses, Pélardon goat's cheese from the Cévennes, sweet onions, Reinette apples, chestnut cake, honey, foie gras, olives and other produce jostle for place on the stalls. The scents and colours mingle together. Here, you can experience the real "spirit of the Cévennes": nature, swimming in the river and the smell of a picnic being made. The Baltard style market halls in Béziers have been open since 1891 and are now listed on the register of Historic Monuments. The market is held Tuesday to Sunday from 6am to 1pm. There’s also a pretty flower market on Friday in the Allées Paul Riquet. Don't miss that! According to the Hérault locals, Lunel market is the biggest and most comprehensive. On Thursday mornings, it’s "open for business" and you can buy anything from a tomato plant to the latest dress. In the shade of the plane trees on the Allées Baroncelli, you can take your time, stroll around and discover the genuine local produce. This is one of the oldest markets in Languedoc. Held in the historic city centre, it surrounds the church with its cheerful striped awnings every Wednesday morning. The special feature of this market is the way it’s laid out, which hasn't changed since it started up. It's almost like walking through a beginners' guide to the market: you come to the vegetable stalls first, then the butchers' stalls, followed by the poultry, then the clothes a bit further on, etc. It never changes... and it's organic! You can view, request or download a brochure about our markets.